Cirencester Aerials, Aerial and satellite installations Cirencester. 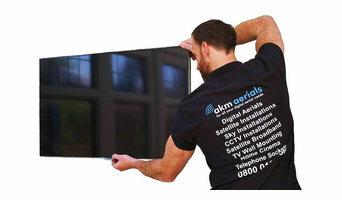 We also do home cinema, telephone and cctv installations. New lighting, rewiring, Smart Home Installation, custom and creative solutions, we are on hand to give advice and help with all your electrical needs. Call us on 07887 402 731 for more information. Life depends on electricity. And our customers depend on us. Whether we’re working on a domestic or commercial job, call-out or contract, our highly-trained teams deliver an exceptional standard of work and personal service. We turn up on time, deliver on budget and price our work fairly and transparently. And as a family-run business we never forget the importance of every customer. FIRST Company in the UK to get Specialized Accreditation for Portable Appliance Testing and Thermal Imaging Inspections. Providing highly experienced engineers who all have City & Guilds 2360/2391 and IEE Wiring Regulations (17th Edition). The main accreditation body in the electrical testing industry, the ECA accredit our company and staff technical standards. Our commitment to quality ensures we are ISO 9001 : 2008 accredited and undergo a rigorous auditing regime in order to verify and recommend that we have highest skills and ability to carry out these technical services. Our well managed testing ability enable us to pass on cost savings to you the client, which means you benefit from great pricing matched with our superior service. We are a relatively small company, consisting of two level 3 electricians, and one part-time office member of staff. Brad Dayment is the managing director and has been a fully qualified electrician since 2010. Andrew Tucker is also fully qualified and completed his level 3 in 2013. We are both very friendly jovial people who love our jobs. We both love fault finding and technical aspects to our jobs, whilst getting stuck into the less glamorous parts of our jobs, like crawling around loft spaces and chasing out walls. 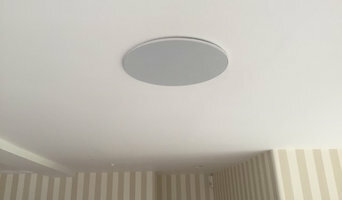 So if you require a quote contact me via the contact us page. Humphreys Electrical has worked on everything from large scale commercial / industrial projects through to larger domestic electrical installations. We work with building contractors, architects, project management companies and directly with the end customer, with each job having a different set of requirements. As a company we have been trading since 1980, carrying out electrical services for domestic, commercial and industrial clients. Starting out with two directors we have grown both in size and reputation with each of us dedicated to giving clients the best service possible. Whether we are discussing and planning new installations or upgrading existing systems, we will bring our years of knowledge and experience to ensure all our clients get professional advice and great service. Our original ethos is still the same today: ‘To do an excellent job, every time’. We are members of the NICEIC Approved Contractor Scheme. This gives our clients the confidence that the work we undertake is carried out by competent engineers, and that it complies with the relevant safety standards. Our clients are reassured that we hold adequate insurance and that essential documentation, training, technical capability and equipment is maintained and up-to-date. To discuss your domestic, commercial or industrial electrical project please don't hesitate to contact us. 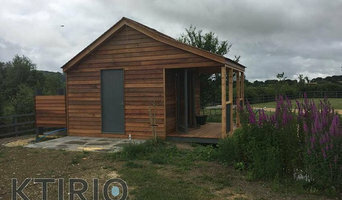 Electricians in Tetbury, Gloucestershire can handle all sorts of jobs, from small to big, when it comes to domestic electrical work. If your home project is a large one, you’ll probably want to involve local electricians in the early stages and they can plan, alongside the architect and builder, how the wiring will be set up throughout your house. Single room renovation, or just updating elements of one room, will require less electrical work but hiring qualified, local electricians is still advisable. Electrical contractors will be able to install lighting, fix electrical sockets in place, set up large electrical appliances and wire up systems such as surround sound stereos. 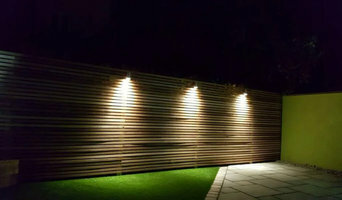 Talk to a professional electrician in Tetbury, Gloucestershire about any special electrical projects you have in mind, such as some innovative outdoor lighting or some up-lighting in your hallway, to see if they can bring your idea to life. If a power cut leaves you in the dark, a fuse has blown or your plug sockets stop working, then you can find emergency local Tetbury, Gloucestershire electricians with Houzz that can help you. You can find a qualified Tetbury, Gloucestershire electrician fast for electrical repairs by checking our list of electrical contractors and professionals. Search for your area or postcode to see electricians near you. Find electrical contractors or local electricians on Houzz. 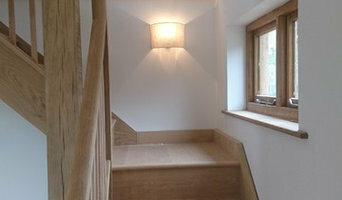 Narrow your search in the Professionals section of the website to Tetbury, Gloucestershire electricians. If you’re planning a large-scale project, find other professionals on Houzz who can help get the job done. Here are some related professionals and vendors to complement the work of electricians: Lighting, Main Contractors, Solar Energy Installation, Heating & Air Conditioning.